The National Capital Band will be in sessions for their eleventh recording, entitled A Musical Offering, on 14 – 15 February 2014. The band has been blessed since its inception in 1925 to have had a stream of excellent composers and arrangers as members of the group. All of the items on this recording were written by one of these musicians, ranging from the earliest days of the band to current members. In the late summer of 1961, Robert C. “Bob” Schramm came to Washington, DC after joining the United States Air Force Band. He also took up the principal euphonium chair in the National Capital Divisional Band (as it was then known) and was appointed as Deputy Bandmaster, a position he held until his retirement from the NCB in 1998. The association between the Schramm family and the National Capital Band continues to the present day, now extending to the third generation, with six members of the family having played in the band for a combined total of over 90 years of service. Several of Schramm’s compositions have been published, mostly in the 1970s and 1980s. His most well-known work is The Children’s Song, published in the Festival Series in 1975. 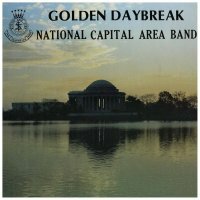 Although this piece has been recorded several times by bands around the world, including the International Staff Band, this will be the first time that the National Capital Band has recorded it. The tunes used are “Royal Oak” (Martin Shaw, late 17th century) and “Bright and Beautiful” (William Monk, 1887). The entire piece is in a light, playful style, with the melodies being passed throughout all sections of the band. Although short in duration, less than three minutes long, it is a challenge for the band, with many short solo passages and features handing lines from one instrument to another. 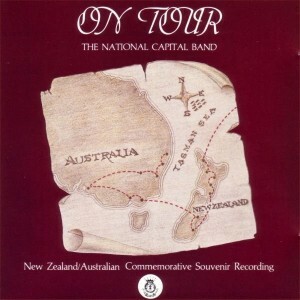 Commemorative recording for the National Capital Band’s tour of New Zealand and Australia in 1989. This three-week tour was the first extended international travel by the band since 1974. All tracks conducted by Bandmaster Stephen Bulla, except track 7 conducted by Deputy Bandmaster Robert C. Schramm. Recorded in the Alexandria Citadel (Virginia) Corps hall, 3 – 4 March 1989.